The Moon and nearby asteroids could contain untold riches and resources to help further space exploration. One small country is aiming to take a leading role in this new space race. 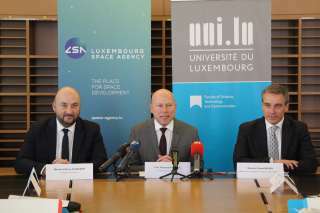 Justin Calderon about the Luxembourg SpaceResources.lu initiative.